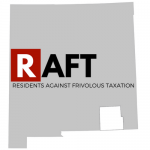 Artesia residents interested in voting in the upcoming county Gross Receipts Tax (GRT) referendum are reminded they must register by Tuesday to receive a ballot. The vote will be conducted by sending ballots to all registered voters by mail and is scheduled for Sept. 26. In order to receive a ballot, Eddy County residents must register with the Bureau of Elections by the end of the day Tuesday. Those unsure whether or not they are registered may check online by visiting voterview.state.nm.us and clicking “Registration Information” or call the Bureau of Elections sub-office in Artesia, 746-2541, or primary office in Carlsbad, 575-885-3383. 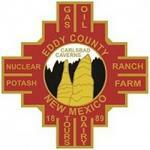 Registration may also be performed online by visiting portal.sos.state.nm.us (must have a valid New Mexico driver’s license), at the Eddy County Clerk Sub-Office, 602 S. First St., or at the Artesia Chamber of Commerce, 107 N. First St. The two one-eighth of 1 percent sales tax increases approved by the Eddy County Commission in May will be up for vote.